An itty bitty overview of Leyla’s latest release, itty bitty twang twang… "The Twang is the Thang in Leyla's new CD itty bitty twang twang... from the reflections of "I Wonder" to kickin' cuts like "Pain Relief" and the big hook of "Get the Truck Outta Here", it's Trad-country all the way. It's really a great collection of original country songs that my audience is going to love. " - Ken Bass, Variety 95.1 FM - KALH . . . . . . . “Honky Tonk Heaven!” - Paul Kerr, Blabber N Smoke . . . . . . . “I can envision Loretta Lynn listening in the upstairs lounge nodding her head wisely.” - Terry Anderson, Yarra Valley 99.1 FM . . . . . . . “The songs fly by like good conversation with old friends.” - Wildy Haskell, Wildy's World . . . . . . . "Leyla is proof that honky-tonk is still alive and well and fun to listen to when done well. At a time when country music doesn’t sound like country music, Leyla Fences is a breath of fresh air." - Andrea Guy, Mossip . . . . . . . ABOUT LEYLA & itty bitty twang twang “I’ve never heard anybody describe my songs as sweet or romantic” Texas-born singer/songwriter Leyla Fences says when asked to describe her music. She hesitates before grinning and adding “...but then again, no one’s ever called ME that either!” Two short years after the release of her debut CD, Fences makes herself totally at home again with the sounds of traditional country on her second album itty bitty twang twang. 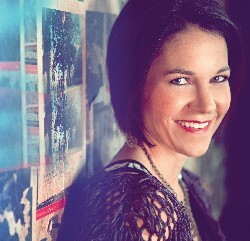 Leyla's follow up to her well-received" Liars, Cheats & Fools" (2010) presents country music fans 14 original tracks of self-penned dancing, drinking and cheating songs with the same compelling songwriting, strong female perspective and powerfully passionate vocal performances that listeners have come to expect from this Dallas native. Never sweet, rarely romantic and always fun, Leyla’s songs hook you immediately with her smart style, bold personality and a sense of humor kin to the songs of Loretta Lynn and Dolly Parton. “There are a lot of women who relate to these lyrics and, while they might not be able to find the words to say what they are feeling for themselves, they can trust Leyla’s songs to say it for them.” (Kaye Golden-Wright of Kaye G. Wright Studios, Dallas, TX) All 14 tracks on itty bitty twang twang were written in whole or co-written by Fences and blend her sassy style with a comedic touch while speaking both musically and lyrically about being in and out of love and moving on. With steel guitar and fiddle on almost every song and refreshingly straight-forward honesty, itty bitty twang twang will remind you of country music the way it used to be. "Rather than portray life as a made-for-television Disney movie like the pop/country tendencies of Nashville’s music machine, Fences digs into the darker aspects of humanity that have traditionally made country music their home". (Wildy Haskell, Wildy's World) “I found myself listening to today’s mainstream country and feeling two things,” says Leyla, “one, that it didn’t sound like country music anymore and two, that even though songs today might still portray everyday life, it’s mostly only the happy, picture-perfect parts. I sure wasn’t hearing songs that I could relate to based on what I was living at the time so I decided to write about those experiences – even though they didn’t all have fairytale endings.” Always danceable and never pretentious, the clean sound of these original tunes lets every word and note be heard while tasteful production allows listeners to get the same great connection with the songs that Leyla's live audiences enjoy. itty bitty twang twang SONG HIGHLIGHTS Note: No men were actually harmed in the making of this CD. "Get the Truck Outta Here" - A fun, upbeat, kiss off bar anthem "One More Honky Tonk" - a toe-tapping, shout out, drinking-to-get-over-you- tune that'll make you forget there was any heartache at all! “Pain Relief” - a tongue-in-cheek mix of country and early rock and roll that will make you want more. “Something Right” - Quirky perspective and warm vocal performance. No honey-coated pop-country lyrics here! “Pretty Lies” - a tale of catching a love red-handed with another. A peppy beat, wavering steel guitar and compelling piano and fiddle features. “What I Do” - slowed instrumentals and Fences’ emotional singing style. The closest Leyla might ever come to a tear-jerker! “Too Far Gone” - catchy and danceable with soulful background vocals and fast-paced electric guitar. “Trophy Wife” - Fences drives the say-it-like-it-is lyric home with a forceful and tuneful delivery. 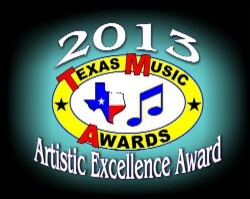 ....Plus 6 other true country originals, all with a story to tell! "There isn't a weak song in the bunch" (G.W. Hill, Music Street Journal) HEADS UP! The full album download includes an innovative extra - a karaoke version of the first track and CD Single “Get The Truck Outta Here”. The hard copy CD includes the bonus track plus complete 12-page lyric booklet with full credits and photos (and if ordered from the artist's website - can come autographed!) THE STARS The CD was recorded at Audio Dallas in Garland, Texas supported by seasoned professional musicians who have worked with recording artists such as LeAnn Rimes, Jack Ingram, Janie Fricke and Steve Holy. The album was recorded and mixed by Paul Osborn, whose experience includes recording and/or mixing more than 25 Gold and Platinum Records. Mastering was completed by Randy LeRoy of AirShow Mastering, whose credits include Jamey Johnson's double CD "The Guitar Song" on Universal Music Nashville and Darryl Worley's "God & Country" on Stroudavarious Records. The artwork for the CD was completed by Glenn Sweitzer of Fresh Design, known in the music industry as designer for artists such as Tim McGraw, Rascall Flatts, Reba McEntire, Kenny Rogers, Hank Jr., Lady Antebellum and many others. Photography by Jake Harsh of Harsh Media, Nashville celebrity and entertainment photographer who has also photographed the likes of Katy Perry, Peyton Manning and Jo Dee Messina. Hair & Makeup by Amy Lynn Harwig. MUSICIAN CREDITS Music and Lyrics by Leyla Fences. Co-writers on "Get the Truck Outta Here" & "The Next Time" - David Graham and Vaughan Daniel. Milo Deering (Fiddle, Steel Guitar & Mandolin) Leyla Fences (Vocals) Billy Freeman (Drums) Abby Holmes (Background Vocals) Kerry Huckaba (Bass) Jerry Matheny (Electric & Acoustic Guitar) Brad Neher, Jay Brown, Michael Hanna,Tim Alexander (Keys) Produced by Paul Osborn and Leyla Fences. Recorded and Mixed by Paul Osborn at Audio Dallas Mastered by Randy Leroy at Airshow Mastering A LITTLE ABOUT LEYLA... Leyla’s journey thus far has been anything but a straight line. Although she experienced a typical Texas upbringing in the sticks outside of Houston, as a middle-child born under the sign of the bull she was happiest when she was stirring things up so she took off from home early and set out to explore the world’s wider pastures. Her zigzag took her around the world from high-falutin' graduate degrees and culinary studies in the U.S to language studies across the pond and south of the border. With her wanderlust somewhat satisfied, more than a couple of tequila-induced hangovers under her belt and the memories of several no-good lovers and their shenanigans fresh in mind, Leyla decided she'd had more formal and informal schooling than she'd ever need. She hocked most of her know-how (and marbles) in exchange for a shiny Takamine guitar and realized soon after that everything she was looking for could be created with 6 strings, 3 chords and a capo. Leyla was last seen in Nashville at a songwriter night down on Broadway. If you have any information on her whereabouts, please let her know! If you have problems hearing the clips, click here.